…it’s worth reviewing a few crucial principles and facts about the journalistic process. For years, WikiLeaks has been publishing massive troves of documents online – usually taken without authorization from powerful institutions and then given to the group to publish – while news outlets report on their relevant content. In some instances, these news outlets work in direct partnership with WikiLeaks – as the New York Times and the Guardian, among others, did when jointly publishing the Iraq and Afghanistan war logs and U.S. diplomatic cables – while other times media outlets simply review the archives published by WikiLeaks and then report on what they deem newsworthy. WikiLeaks has always been somewhat controversial but reaction has greatly intensified this year because many of their most significant leaks have had an impact on the U.S. presidential election and, in particular, have focused on Democrats. As a result, Republicans who long vilified them as a grave national security threat have become their biggest fans (“I love WikiLeaks,” Donald Trump gushed last night, even though he previously called for Edward Snowden to be executed), while Democrats who cheered them for their mass leaks about Bush-era war crimes now scorn them as an evil espionage tool of the Kremlin. The group’s recent publication of the emails of Clinton campaign chair John Podesta has been particularly controversial because it comes less than a month before the election; it included all sorts of private and purely personal exchanges along with substantive, newsworthy material; and it was obtained through actions that were likely criminal (hacking). Compounding the intensity of the debate is the now-standard Democratic campaign tactic of reflexively accusing their adversaries of being a tool or agent of Moscow. As a result, it’s worth reviewing a few crucial principles and facts about the journalistic process. It’s vital to emphasize that there are two entirely independent questions presented by all this: (1) were the hackers who took Podesta’s emails, and WikiLeaks which published them all without curating them for relevance and harm, justified in doing so? ; and (2) once those emails were taken by the hackers and published in full by WikiLeaks, what is the obligation of journalists with regard to reporting on them? I’ve spoken a lot in the past about question (1) – including explaining why, rather than just indiscriminately dumping the Snowden archive and other leaks we’ve received, we instead carefully curate the materials and only publish what is newsworthy – so, here, I’m going to address only the second question. 1. A source’s motives are irrelevant in deciding whether to publish. Some have been arguing that because these hacks were engineered by the Russian government with the goal of electing Trump or at least interfering in U.S. elections, journalists should not aid this malevolent scheme by reporting on the material. Leaving aside the fact that there is no evidence (just unproven U.S. Government assertions) that the Russian government is behind these hacks, the motive of a source is utterly irrelevant in the decision-making process about whether to publish. Once the journalist has confidence in the authenticity of the material, theonly relevant question is whether the public good from publishing outweighs any harm. And if the answer to that question is “yes,” then the journalist has not only the right, but the absolute duty, to report on it. It’s often – perhaps almost always – the case that sources have impure motives: a desire for vengeance, careerism, ideological or political advantage, a sense of self-importance, some delusional grievance, a desire for profit. None of that is relevant to the journalist, whose only concern should be reporting on newsworthy material, regardless of why it was made available. As Bartsow points out, some of the most important sources in the history of American journalism had horrible motives. For that reason, “What really matters to me is: is this information real, and if so, is it newsworthy?” That is the only consideration for real journalists. 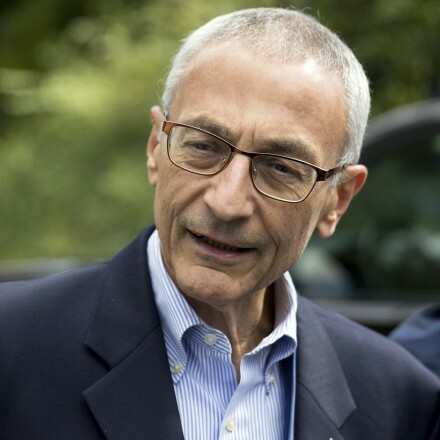 Others have claimed that journalists should not report on the Podesta archive because the materials were obtained through hacking, a crime; a related argument is that by reporting on material from this archive, journalists are rewarding acts of theft and/or encouraging future similar acts of hacking. Acceptance of that view would destroy much of investigative journalism. It is often the case that critical stories a journalist reports are the by-product of information that a source has obtained without authorization or even criminally. The New York Times was able to publish the Pentagon Papers because Daniel Ellsberg took them without authorization, and was prosecuted for doing so. The same is true of the crucial archives provided by both Chelsea Manning and Edward Snowden. Every significant story involving the revelation of classified information – from Dana Priest’s Pulitzer-winning exposure of CIA black sites to James Risen and Eric Lichtblau’s Pulitzer-winning uncovering of Bush’s domestic warrantless eavesdropping program – involves a source breaking the law to enable that reporting. The Washington Post was able to expose the FBI’s COINTELPRO program because a group of citizens broke into the FBI’s office and stole its files. It’s quite possible that whoever took Trump’s tax returns and sent it to the NYT did so in violation of the law, though few would argue that the NYT should not have published that tax return if it turned out that laws were broken by the source (indeed, the NYT published the tax returns without having any idea who sent them or whether crimes were committed). No serious journalist would refrain from publishing a newsworthy story because the source broke the law to obtain it. Many of the most celebrated journalism stories of the last several decades involve sources who broke the law to provide the information. 3. The more public power someone has, the less privacy they are entitled to claim. Last night, I was on Chris Hayes’ show (video below), discussing the Podesta email leak, and made this point, and some people reacted as though this was some bizarre, exotic claim – rather than what it is: the fundamental principle of journalism as well the basis of numerous laws. Of course it’s the case that the more power someone has, the less privacy they have, and every media outlet, literally every day, operates on that principle, as do multiple sectors of law. That there are different standards of privacy for different people based on their power and position is axiomatic. That’s why laws like FOIA requiring disclosure (including of emails) apply only to public officials but not to private citizens: it embraces the proposition that those who wield public power submit to greater transparency than private citizens do. This same principle is why people cheered when the NYT published Trump’s tax return even though they’d be horrified if the NYT published the tax return of ordinary citizens – because people like Trump who wield or seek great political power sacrifice some degree of privacy. Media outlets constantly report on the private matters of powerful people or institutions that they would never even consider exposing if it involved non-powerful actors. When Paul Manafort became Trump’s campaign chairman, his financial transactions were of much greater public interest than they were when he was just a private citizen. And various realms of law, such as the law of defamation, impose different standards on public figures than on private citizens. John Podesta is easily one of the most powerful people in the country. He’s a former White House Chief of Staff, current campaign chairman for the candidate highly likely to be the most powerful official on the planet within less than three months, and almost certain to occupy a top position in the Clinton White House. This does not mean, of course, that he has no privacy: his communications of a purely private or personal nature should not be published or reported. But it’s beyond dispute that the public interest in knowing what he is doing and saying regarding public matters is much higher than it is for ordinary citizens. That’s why every media outlet in the country has reported on the content of his emails even though they would not report on the emails of people with no political power: because all media outlets regard the privacy entitlement of powerful, political figures as less than those of ordinary, private actors. 4. Whether something is “shocking” or “earth-shattering” is an irrelevant standard. Democratic partisans have attempted to belittle or dismiss the stories from the Podesta archive by claiming that none of them reveal any earth-shattering or “shocking” scandals (that’s the same tactic used to dismiss away all revelations about institutions people love, including the Manning and Snowden files). They appear to believe it’s interesting that devoted supporters of Hillary Clinton have decided that none of these documents reflect poorly on her in any significant way. But this is an inane standard to apply. The vast majority of reporting done by journalists is not about uncovering cataclysmic scandals or “shocking” people. Whether something is “shocking” is not the standard of what is newsworthy. I would hope nobody finds it remotely “shocking” that Donald Trump is a serial groper of women; despite its being utterly expected, it’s still newsworthy to report it. Journalism is about shining a light on what the most powerful factions do in the dark, about helping people understand how they operate. Not every story is going to be “shocking” or spawn a new, major scandal. That doesn’t mean it should be suppressed. This reaction is also based in a self-absorbed bias. Many long-time journalists or political junkies already know that politicians are typically disingenuous, dishonest and manipulate public opinion, and this jaded perspective causes them to react with boredom toward stories that reveal this. But journalism isn’t about entertaining veterans of political journalism or feeding them new tidbits that they did not already know. It’s about providing the public with information that they can use to better understand the world and, in particular, what those who wield the greatest power are doing. Just because a political journalist thinks he already knows something doesn’t mean that the general public already knows it, or doesn’t want to learn more about it. Moreover, that certain behavior is “common” among politicians does not mean that it is justified, nor does it negate the newsworthiness of revealing new details about it. To dismiss stories showing the dishonesty or manipulations of politicians on the ground that such behavior is “common” is just a way of normalizing that behavior. The Podesta emails provide unprecedented insight into how a modern presidential campaign operates, the tactics it uses for shaping public opinion, the trade-offs and compromises it makes to secure support and obtain power. Beyond that, they reveal the thought processes and behaviors of the top advisers to the person who, very shortly, will almost certainly occupy the Oval Office – and, in some instances, the thought processes of Hillary Clinton herself. As such, even if they don’t “shock” people who have worked for 30 years in journalism, they are of great journalistic value for showing the public what takes place behind the curtain and how the most politically powerful people in the nation speak and reason about public matters when they think nobody is watching. 5. All journalists are arbiters of privacy and gatekeepers of information. The often-heard objection that journalists should not act as arbiters of privacy or gatekeepers of information is just absurd. All journalism entails exactly those judgments: about what should or should not be published, and about what invasions of privacy are or are not justified in the public interest. When the New York Times publishes state secrets, it acts as “arbiters” of what should and should not be disclosed. When the Guardian and the Intercept and the Washington Post chose to publish some material from the Snowden archive but not all – on the ground that some of the material would destroy innocent people’s lives or reputations – they acted as “gatekeepers” of information. Literally every act of journalism entails this process. A core purpose of the First Amendment’s free press guarantee was to add an additional safeguard against excess government secrecy by ensuring that others beyond government officials made decisions about what the public knows. If you find it objectionable that journalists act as “arbiters” or “gatekeepers,” then you simply don’t believe in journalism, since all journalism entails that. It is, of course, understandable, or at least utterly predictable, that Hillary Clinton’s supporters will try to find ways to delegitimize all reporting that reflects negatively on her, while justifying and glorifying all reporting that reflects negatively on Republicans. Much of the furious reaction to WikiLeaks is about little other than that.